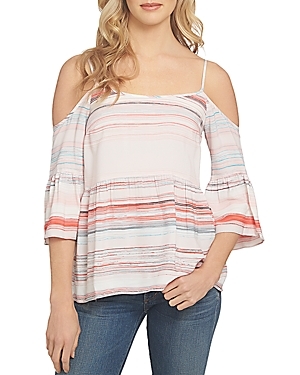 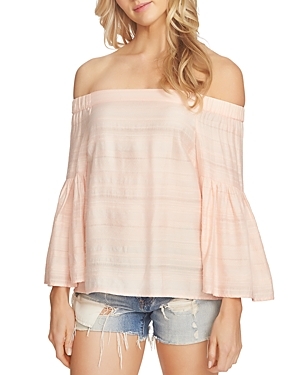 Textured, tonal stripes elevate this shoulder-baring top from 1.state-a right-now silhouette framed by ultra-feminine fluttering bell sleeves. 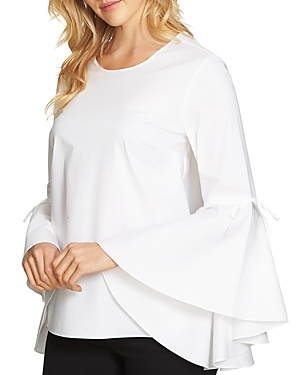 1.state revamps a crisp poplin top in a fashion-forward silhouette, adding voluminous bell sleeves for those extra dramatic gestures. 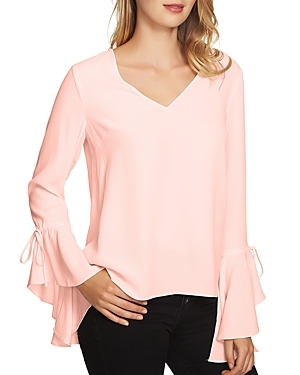 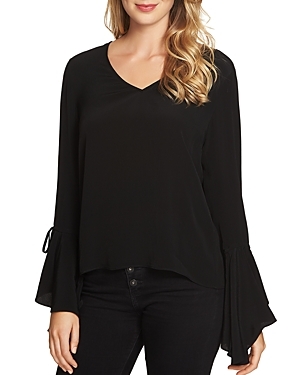 Cascading bell sleeves with self-tie blows lend a flirty finish to this fluid top from 1.state, flitting from day to dinner with equal ease. 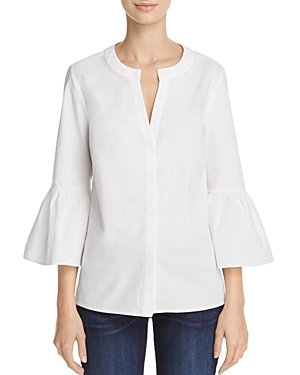 Crisp poplin fabric and bell-shaped sleeves define this versatile minimalist staple from 1.state.